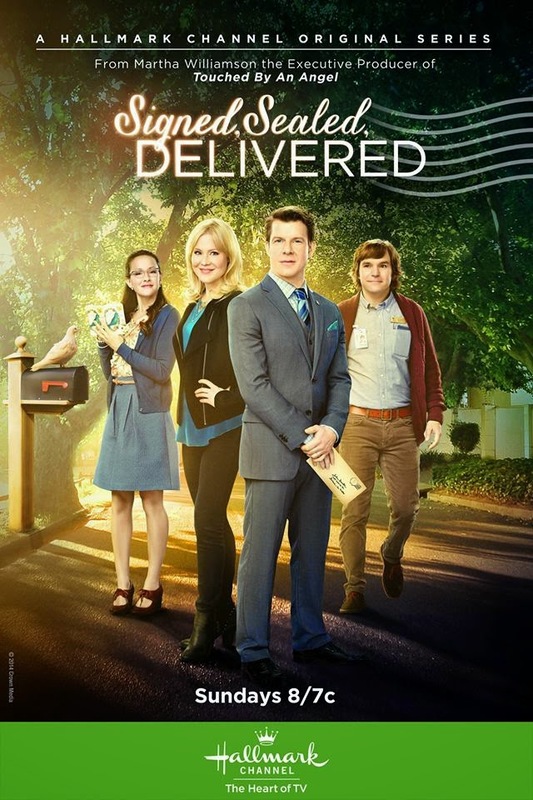 "Signed, Sealed, Delivered" is a new Hallmark television series which tells the story of four postal "detectives" who figure out the intended recipients for undeliverable mail. Each episode tells the story of a different letter and consequently touches on the lives of the different people affected by each letter. I have watched a few episodes to prepare for this review and hope to catch up on the others I've missed. It's amazing to see how a handwritten, "snail mail", letter can affect the life of someone -- especially in this day of technology and "social" media. The show is heartwarming and touching and there is a worthwhile message to each episode. While it can be slow moving for my husband, it takes a turn and reclaims his interest just in time. Personally, I'm liking the change from the typical detective type shows on tv. This show isn't graphic or offensive. My kids, (ages 8 and 10), came into the room when I was watching an episode and joined me. Since then they've asked to watch other episodes too. The episode we watched together most recently is entitled: "The Future Me". This episode tells the story of a young lady with Down Syndrome, Ellie, who writes a letter to her future self. Ellie realizes she needs to make some changes in her life when she receives the letter that her highschool self wrote about her future hopes and dreams. My son, Elijah (age 8), says the moral of the episode is: "It doesn't matter who you are -- everyone should have love." Another underlying message of this episode is to be who you really are. "To thine own self be true" is a Shakespearean phrase quoted in this episode. This moral is one that Ellie and Rita, one of the postal "detectives", both learn in different ways. When Rita is competing in the Miss Special Delivery pageant she decides it's more important to be who she is than it is to try to win at all cost. Even though the atmosphere around her is competitive and even a little intimidating, Rita knows that with her good friends supporting her, it's as if she's already won. "Signed, Sealed, Delivered" also has great guest stars: Valerie Harper, Marilu Henner, and, in an upcoming episode, Carol Burnett! Not only is the show a breath of fresh air in terms of its appropriate content, but the American Bible Society has created a Bible Study to go along with each episode of the series. The show airs SUNDAYS, 8/7c on Hallmark. Don't miss the opportunity to check out this new, heartwarming show. Ive never heard of this show before but it sounds quite interesting!